An American Airlines plane with a U.S. congressman on board was forced to make an emergency landing in Tampa Thursday night after reporting the smell of smoke in the cockpit. The carrier says Flight 3454, from Tallahassee to Miami, had 46 passengers and crew of 3. The plane landed safely at 9:30 p.m., American Airlines spokeswoman Laura Masvidal told CBS Miami. That was five minutes after reporting the smoke smell, the Tampa Bay Times quotes Tampa International Airport spokeswoman Janet Zink as saying. Masvidal said the source of the smoke was being investigated. 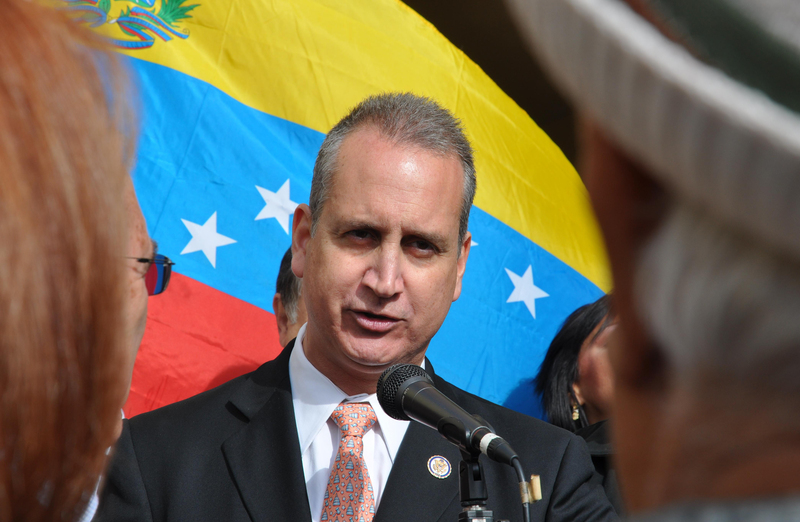 Rep. Mario Diaz-Balart, R-Miami (R, Miami) was among the passengers, as was Miami-Dade Schools Superintendent Alberto Carvalho. Carvalho tweeted that there was an explosion as well as smoke, but Masvidal told CBS Miami she wasn't aware of an explosion. When the plane was on the ground, Carvalho posted a "selfie" of himself, Diaz-Balart and some others, the Tampa Bay Times says.